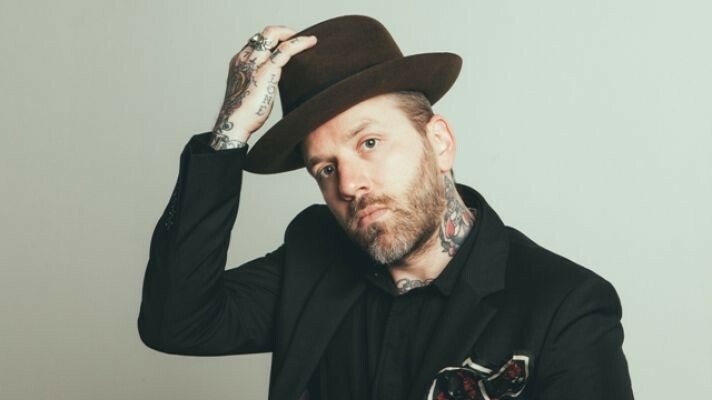 City and Colour headlines the Knitting Factory in Spokane on Friday night. COMEDY | It doesn't get much funnier than Jay Mohr. The SNL vet, actor, author and radio host stops by Spokane for one night only at the Spokane Comedy Club. BENEFIT | Some local bands are getting together to raise money for the YWCA and NOW Spokane, and raise awareness for the important issue of violence perpetrated against women. Join Itchy Kitty, Phlegm Fatale, Thigh Gap and Wretched F—- tonight at Mootsy's. COMMUNITY | Hit Terrain tonight for a discussion and presentation on Spokane's Mid-Century Modern Legacy. Hosted by the Spokane City | County Historic Preservation Office and the Spokane Historic Landmarks Commission, you'll see examples of the different types and styles highlighted, learn about the architects who left their mark on Spokane and more. MUSIC | This month's Northwest of Nashville showcase at the Bartlett features a killer lineup, including Ira Wolf, Windoe, Chris Molitor and Quinell. COMMUNITY | Head to the Women's Club and kick up a ruckus with the Spokane Contra Dance. MUSIC | Hit up the Steel Barrel for some tunes from Sulphur Banks and the Dapper Devils, along with some tasty new brews from Spokane's beer incubator. FESTIVAL | The Greek Dinner Festival returns for two days of delicious lunches and dinners at the Holy Trinity Greek Orthodox Church in Spokane, starting today and running through Saturday. MUSIC | A double dose of hard rock takes over the Spokane Arena tonight as the Scorpions and Megadeth team up for the "Crazy World Tour." CANNABIS | The Spokane Convention Center hosts the King Cannabis Expo, a two-day event for folks in the business, or interested in getting into it. FESTIVAL | Fiesta Spokane celebrates the local Hispanic community with a day-long party full of music, food and festivities. FOOD & DRINK | Avista Stadium hosts Restaurant Wars II, the follow-up to last year's successful Kendall Yards culinary fair and tasting event.